The multinational Thai hospitality company Dusit International has opened the largest internationally branded 5 star hotel in Bhutan, the South East Asian nation known for measuring progress with Gross National Happiness instead of GDP and for being the only carbon negative country in the world. 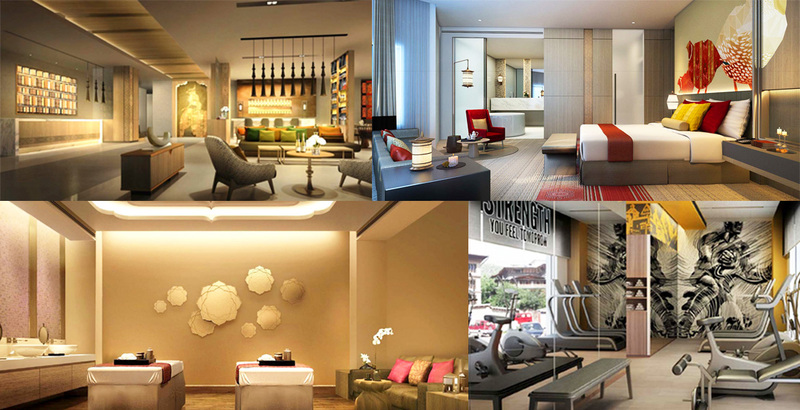 Partnered by Yarkay Group, one of Bhutan’s most successful companies, Dusit’s upscale dusitD2 brand started operations in December 2018 as the dusitD2 Yarkay in the happy kingdom’s capital city, Thimphu. With 83 rooms, a Thai spa, a state-of-the-art gym, all-day-dining international restaurant and the country’s first authentic Thai restaurant, dusitD2 Yarkay is not only the biggest internationally branded hotel but THE biggest hotel in the last Himalayan Kingdom. Inspired by the Buddhist folk tale of the Four Harmonious Friends, the hotel features a beautiful blend of modern architecture with traditional Bhutanese elements and a breathtaking interior featuring engrossing local artwork. Each of the guest floors are themed to the Elephant, Monkey, Rabbit and the Bird, the four animals from the folktale that settled their dispute over their rights to the fruits of a tree by agreeing to work together in harmony. Only an hour’s serene ride from Paro International Airport, dusitD2 Yarkay is located right in the center of one of the quietest capital cities of the world, offering easy access to the city center with all major attractions like the Buddha Point, Memorial Chorten, Tashi Choedzong (home to the office of the King), Takin preserve and various museums within a seven-mile radius. 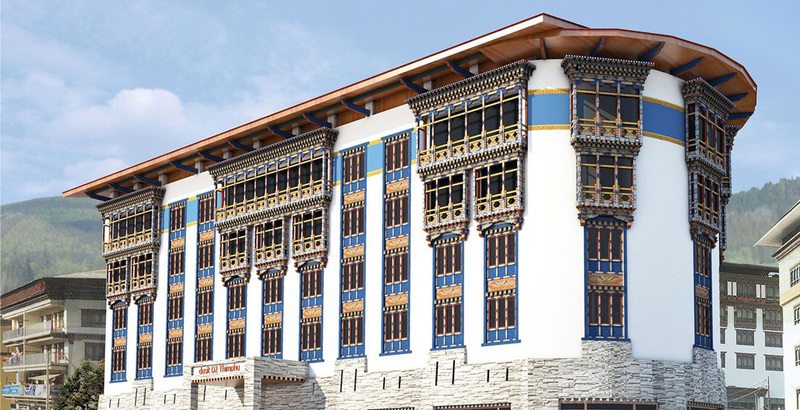 The opening of dusitD2 Yarkay is not only a big step up for the country’s hotel industry but reconfirmation of Bhutan’s continued branding as a top exclusive tourism destination for travelers from around the globe. We at Kincho Tours and Travels wish dusitD2 Yarkay great success and are proud to announce this majestic hotel as one of the stay options for all our guests to choose from.